Is it a hot summer and all you want is to do is enjoy some outdoor sun but its scorching? This is where a garden umbrella steps in to provide sun protection and shield you from those summer showers. And of course, you can relax in a cool customizable shade and enjoy your amazing moments. 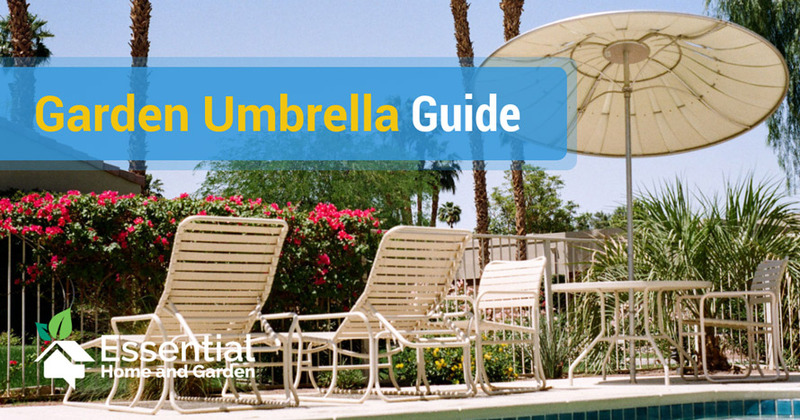 This article takes a closer look at the important info you might need when considering your first garden umbrella. This includes how to measure up what you need, protect it for longevity, clean it, and maintain it to save on costs and many more. What is a Garden Umbrella? A garden umbrella or parasol is a cover or shade system normally made of quality materials for diverse applications. Garden umbrellas are designed in many colors, sizes and styles to suit different tastes, preferences, and applications. They can be foldable (fully collapsible) or non-collapsible. In most cases, a garden umbrella will be supported by a pole made of wood, plastic or metal. The protective surface could be made of fabric or a flexible plastic-like material. They can be set up in outdoor tables or chairs free standing for protection against the sun or rain. It all starts with the size and specifications of your garden umbrella to identify the appropriate type that fits your installation. It is essential to check on the amount of space available for your garden umbrella. If you are to set it up on your outdoor table or space, ensure that the installation is effective. This will help avert situations of the wind blowing away the umbrella while enjoying some good time with your guests. You can choose a crank umbrella or a push umbrella for your set up. How would you like to raise or lower the umbrella canopy depending on your needs? If this is the case, then consider going for a crank garden umbrella. Besides, this is a remarkable convenience when controlling the amount of sun to bathe and avoid being rained on. You obviously need a high-quality long-lasting material suitable for adverse weather resistance. However, diverse models, this will vary depending on material design ideal for the specific purpose. For those buying a garden umbrella to install in a residential or commercial place, a first-rate design would be appropriate. Garden umbrella frames are commonly made of aluminum, wood or fiberglass. However, if you want a frame that is attractive, durable, economical and non-corrosive for outdoor setup, aluminum is a perfect choice. Wood frame-made garden umbrellas tend to a little expensive but some come treated for outdoor use. They are not as durable as aluminum frames and not suitable for harsh weather conditions like rain, cold and sunlight. Also, fiberglass frames are equally long lasting, light in weight and resistant to wind and weather. Thankfully, they are also non-corrosive. In most cases, umbrellas are measured in width but not height. These measurements are essential for installation or set up and other maintenance purposes. However, to get accurate specifications of your garden umbrella, these tips will be helpful. Uninstall your umbrella from its usual place and lay it open on a clean flat surface. Take the measurement of the top part of your umbrella rib arms using a tape measure. Also, take the measurement of the top center to its exterior edges. The measurements you have can be multiplied by two for the actual size of your umbrella. After this, take another measurement of the base pole using the crank approach to obtain its height. Garden umbrellas set up outdoors are likely to get dirtier quickly since they are exposed to so many outdoor elements. This includes bird droppings, leaves, mud and such like hence the need to embrace regular cleaning practice. Use these ideas to effectively perform cleaning of your garden umbrella. Lay the umbrella on a clean surface with its outer protective surface facing upwards. The umbrella shouldn’t touch the ground but be positioned stably to avoid rolling over during cleaning. You can spray warm water on the upper surface. Afterward, use a mild detergent or laundry detergent and a soft sponge to scrub off the dirt gently on both the interior and exterior surface. After a thorough cleaning, ensure you rinse your garden umbrella with clean water removing any soapiness on either side. Have a keen look at your umbrella and ensure you have not left any dirt unattended. Thereafter, you can identify a clean place under the sun where to rest it for drying to take place. Check when it has dried well and set it up to its usual location to continue enjoying your shade. Yes! Garden umbrellas are designed to withstand harsh weather conditions. 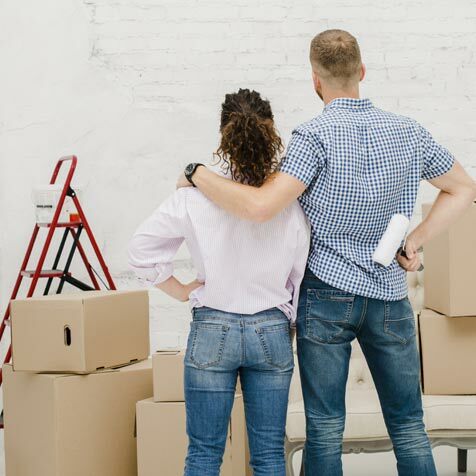 But when it is heavily windy, stormy or during hurricanes, you can store it indoors to avoid body damage. This is probably where you need a sizeable umbrella cover to store the umbrella and keep it clean from particles and other debris. Additionally, you will protect the umbrella from potential physical damage like scratches. Whenever you want to spend some quality time outdoors, you now have what to look out for in your garden umbrella. They are imposing acquisitions if you want to shield from the drizzling summer rain or blazing sun rays. You can use them in outdoor cafes, recreational locations, camping tables, concert gatherings and many other open-air setups. It is imperative to choose the design built for your lifestyle and fitting your budget needs. I hope you now have all the right reasons to sunbath as you catch up with some fresh air under your garden umbrella. Don’t you?